Editors get very passionate about books they work on – the Editor’s Desk series is his or her place to write in-depth about what makes a certain title special. Get the real inside-scoop on how books are shaped by the people who know them best. Ottessa Moshfegh’s fiction is like a new species of wild animal. First there’s that stunned delight: I’ve never met this species before! Whoa, it feels kind of dangerous. Then there’s the inevitable effort to categorize it, to place it within a larger taxonomy. It’s been delightful to watch some of our smartest, most fearless writers come to grips with what makes Ottessa Moshfegh’s work so special, so hard to shake. 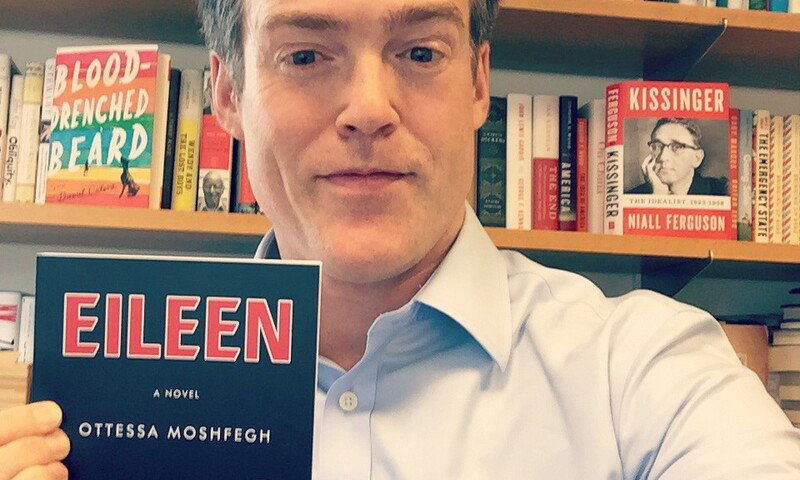 Take Jeffrey Eugenides: “Moshfegh is a writer of significant control and range…. What distinguishes her writing is that unnamable quality that makes a new writer’s voice, against all odds and the deadening surround of lyrical postures, sound unique.” Or Rivka Galchen: “A scion of Nathaniel Hawthorne and Raymond Carver at once, Moshfegh transforms a poison into an intoxicant.” Those stories I read in the Paris Review stuck with me for keeps: these are very different psyches each to each, and the voices are utterly distinct, but each is an exploration of a mind that’s unsteady on its feet in a most arresting way, a triumph of unreliability, you could say – unreliable on just about every level imaginable. The world is a lot weirder than is commonly understood; Ottessa as an artist has a purchase on that weirdness and brings us into contact with it, in a way that is wildly electric. But those are the stories; like many I was very eager to see what this writer would do with a longer form. McGlue, her bravura novella, gave a tantalizing hint, but nothing quite prepared me for the narrative tricksiness, the storytelling cunning, of Eileen. My God, can this writer play the long game. I want to quote, if you’ll forgive me, from the starred Kirkus review, because it makes the point better, I think, than I can: “A woman recalls her mysterious escape from home in this taut, controlled noir about broken families and their proximity to violence…. The narrative masterfully taunts…. The release, when it comes, registers a genuine shock. And Moshfegh has such a fine command of language and her character that you can miss just how inside out Eileen’s life becomes in the course of the novel, the way the “loud, rabid inner circuitry of my mind” overtakes her. Is she inhumane or self-empowered? Deeply unreliable or justifiably jaded? Moshfegh keeps all options on the table…. A shadowy and superbly told story of how inner turmoil morphs into outer chaos.” Set in the 7 days leading up to Christmas in 1964 in a small town outside Boston, Eileen is the story of how a deeply unhappy young woman imprisoned by her circumstances finds a most unexpected accomplice who busts her out of her confinement, though arguably, as Bob Dylan sang, she uses a little too much force… While stylistically this reminds me of nothing so much as Shirley Jackson of The Birdcage and Vladimir Nabokov of King, Queen, Knave, in another sense this reminds me of the wonderful Celeste Ng’s Everything I Never Told You, in that there’s a political valence to this novel all the more powerful for being so beautifully sublimated in a powerful suspense novel. It’s a hell of a thing for a young woman to feel as unattractive as Eileen Dunlop is made to feel by the world around her; the wound is real. And so, though she makes choices you or I might perhaps not make – though perhaps you would! – I think few will say that in the end they’re not rooting for her to go all the way. Read more about Eileen here.